It's something that everyone thinks about when people talk about weddings — it's definitely something your old man is thinking about if he's buying. The truth is that costs are different for everyone; it all depends on the kind of wedding you want to have. While wandering around the Internet, we found a blog entry posted by Every Last Detail, which features a really helpful infographic on the average cost of "weddings that use professionals." This refers to weddings where the couple uses industry professionals from top to bottom (i.e. wedding planners, floral designers, photographers, etc.). Of course, prices are going to fluctuate depending on which professionals you use for which aspect of your wedding. For instance, if you're hiring a super fabulous floral designer (*hint*) to put together the wedding of your dreams, but your wily aunt Shirley is going to be your photographer, then you're going to knock a few dollar signs off your total costs. That is, unless wily aunt Shirley is a monster and doesn't give you a family discount — in which case, put her at the kids' table. 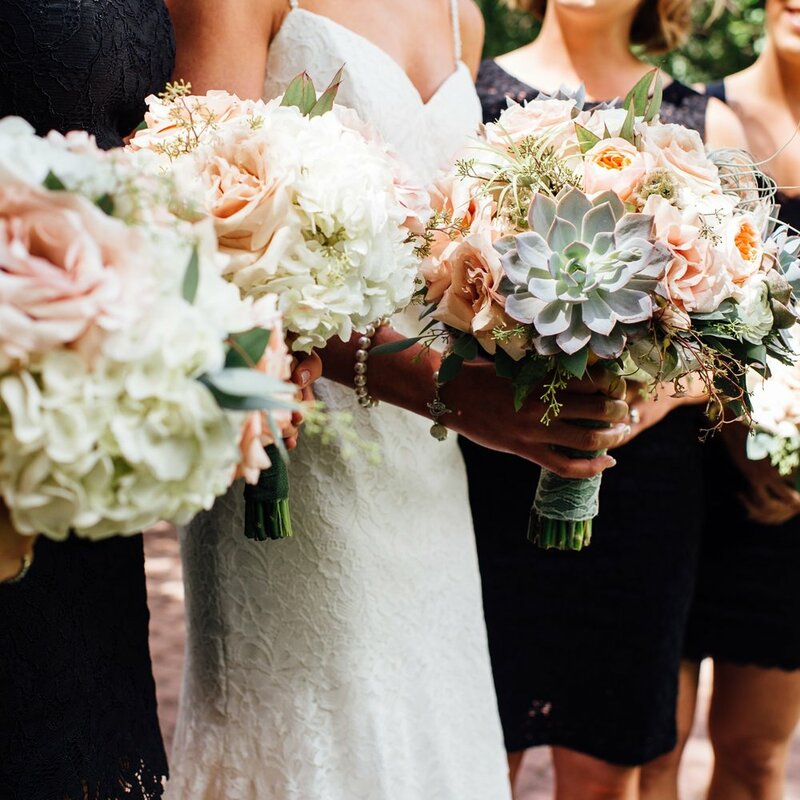 At Fab, we're often dealing with brides and grooms who are using professionals for every aspect of their wedding, and in many cases, that means we get a healthy budget to work with in regards to floral design. However, sometimes it means the opposite because many people look to cut costs at the floral level because we often come in at the later stages of wedding planning. But that's a-okay. Our designers are amazing at creating what we call "The Dream" — the be-all-end-all-100-percent-fantasy-floral-design. Sometimes, after the numbers have been crunched, the dream can be a little too large to pack into your coin purse, but you would be amazed by what our designers can do to trim down their designs to be more cost effective without sacrificing much grandeur. Season plays a huge part in price. If you want peonies in June, we literally have to fly them in from Holland, and it costs a pretty penny. Flowers come in all shapes and prices. Garden roses en masse are almost always going to make your wallet cringe, but we are at the mercy of farm prices. Labour counts! We love doing crazy outlandish stuff to make a statement at any event, but be aware that if it involves our designers hanging from a ceiling, it costs a little extra. You're paying for quality. You're paying for Edmonton's best, and we'll deliver. We're not you're average flower shop. We will use our best products and the best designers to bring your vision to life. Have a look at part of Every Last Detail's infographic on the right, and be sure to click on the image to see their full break down of professional costs on their original blog post.